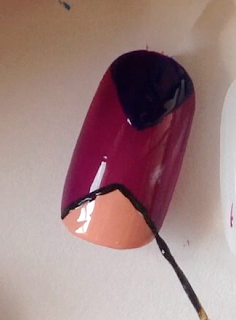 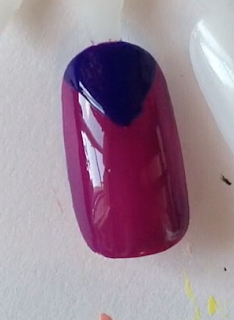 Paint a darker triangle coming down from the top centre of the nail. 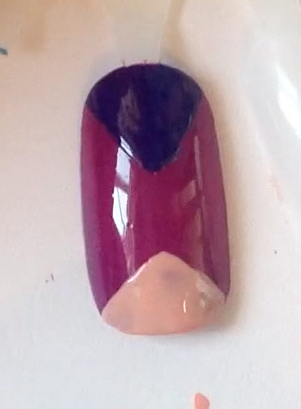 Then a peach triangle coming up with the bottom centre of the nail. Outline the peach triangle with black. Outline the dark purple triangle with silver. 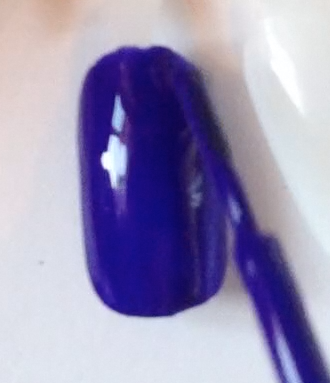 Paint the nail dark purple. 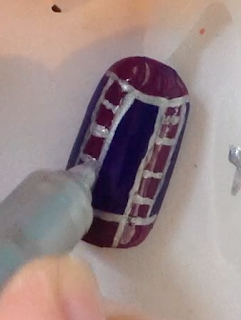 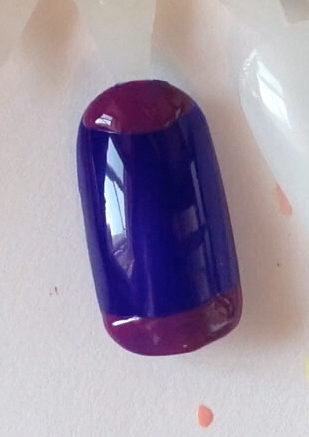 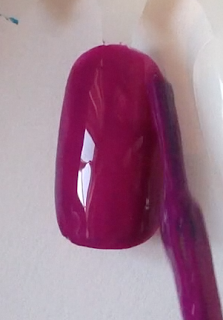 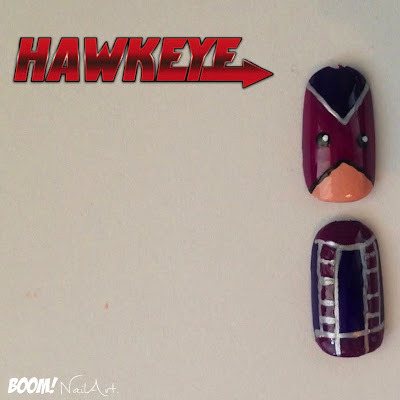 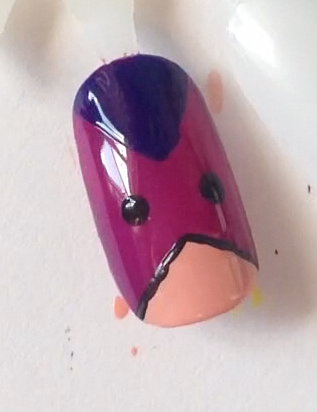 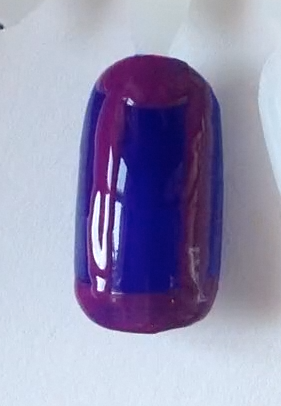 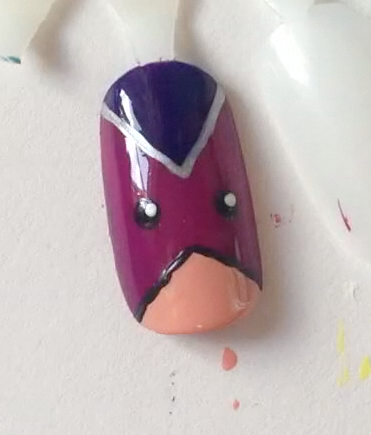 Add to lighter purple sections to the top and bottom sections of the nails. 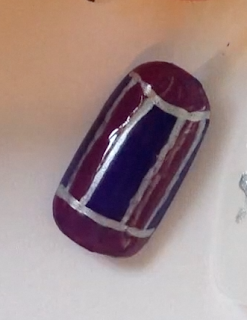 Add 2 vertical lines on either side of the top, connecting the top and bottom sections. 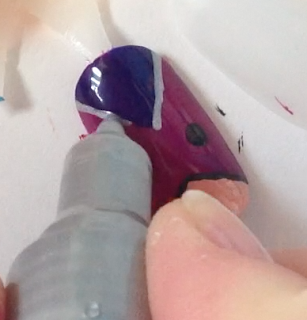 Outline the lighter purple areas with silver. Add silver detail to the light purple vertical lines.